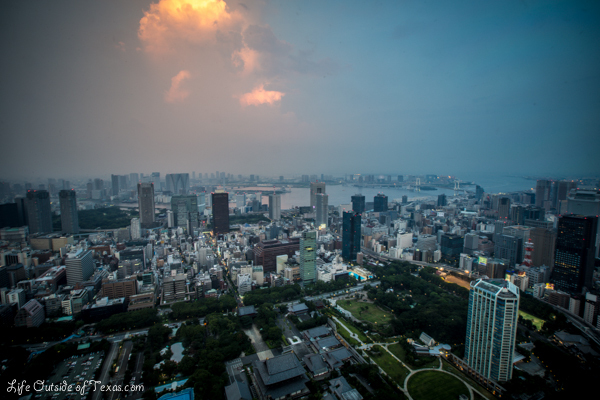 This entry was posted in Japan, Photography and tagged expat blog, Japan, photography, sunset over Tokyo, Tokyo, Tokyo Tower, travel, Ulsan expat, View from Tokyo Tower by Meagan & Dave | HappilyEverExpat.com. Bookmark the permalink. Great photo – Oh how I would love to visit Tokyo! Thanks! The tower was awesome. We are going back to Tokyo in a few weeks to see a sumo tournament (!) and I think we are going to try going up in the other tower, the Tokyo Skytree.